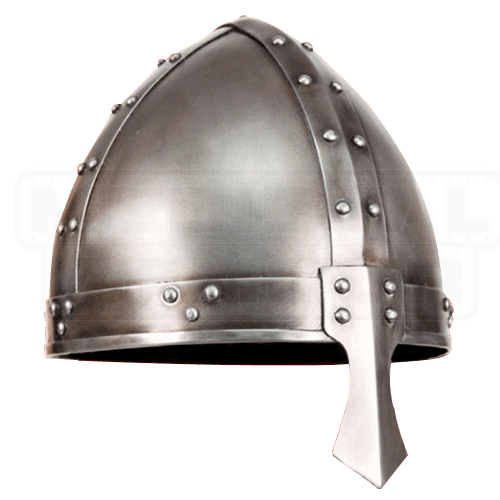 The quintessential medieval helmet, the Norman Spangenhelm will complete almost any medieval soldier look. 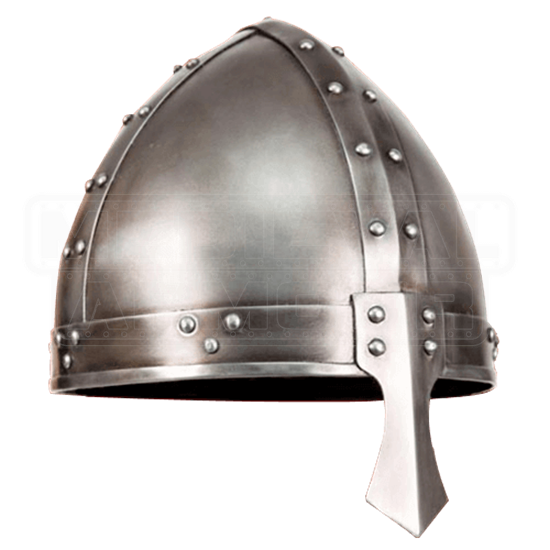 The Spangenhelm was a popular medieval European combat helmet during the Early Middle Ages due to its level of protection and ease of construction. Large riveted metal strips form the framework for the helmet and hold the helmets shape. Extending from the helmets circumference bracing is a guard that extends over the nose. Strong black cloth lines the helmet making this fierce helm easy to wear. Weight: 3 lbs 12 oz.